Django Security Advisory, Python 3.6.0 Beta 4, speech-hacker and much more. 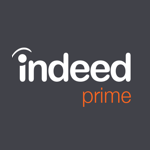 Indeed Prime: Apply to 100 tech companies with 1 simple application. Land your dream job and get $2k. Follow the link for the release notes! pipfile: a new (and much better!) way to declare dependencies for your Python applications. Makes famous people speak whatever you wish by linking their words. Synchronize your repos. built on libvcs. Private python package index written in golang. A Pipfile, and its related Pipfile.lock, are a new attempted replacement for pip's requirements.txt files. A python3 library for efficiently storing massive integers (stands for gzipped-integer). Analysis engine for movie watching habits. A rebuttal for the post against Python 3 linked in our discussions. Create a distributed fault-tolerant scheduling bot with Python and telepot + raftos. Use a dictionary(not a python one) in your Python code with WordNet with NLTK. Looking at Geospatial Analysis by looking at datasets from Kaggle, sample AirBnB locations in Boston, Massachusetts. A look at some common problems to solve when doing integration testing. A looking at doing some financial modelling with pandas. In this article the author shows how to model an amortization schedule. A look at all the alternatives to writing for loops in Python. Watermark images on your Django site using Pillow and django-imagekit. A detailed guide to learn how to unit test your flask applications.